The Today Show is PR opportunity every CEO and business owner asks for. Nearly every potential client says they want to be on the Today Show or Good Morning America when asked who is their ideal audience. It’s not easy securing a placement with these morning show. The available segments are limited between hard news and commercials. 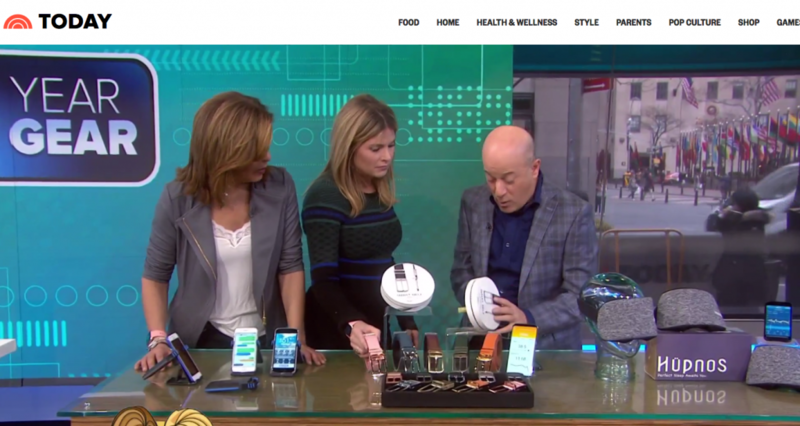 But MACIAS PR did it this week for our health tech client on The Today Show. We also secured a different segment for this client with NBC News. So how did we do it? We leveraged a timely component with water cooler material. Before CES took place, MACIAS PR reached out to hundreds of targeted reporters, producers and writers, telling how the world’s first smart belt was going to be unveiled at CES. But we didn’t create an advertisement. We took time to tell the client’s story. In addition to those two TV segments with NBC News, our approach led to influential placements with Wired Magazine, USA Today, AdWeek and others. If you’re looking to raise the profile of your tech or health tech product, click here for a free PR estimate. You don’t even have to pick up the phone. We’ll do all the work for you. MACIAS PR is based in Midtown Manhattan. It serves clients in technology, healthcare, digital health, financial, politics and the nonprofit sectors. The founder, Mark Macias, is a former Executive Producer with NBC and Senior Producer with CBS in New York. His media experience provides the firm with an insider’s perspective on how news stories are placed. Macias is author of the business book Beat the Press: Your Guide to Managing the Media and frequent contributor with CNBC and The Daily Caller where he gives PR, media and crisis advice on timely business and political stories.